Two years ago, 28-year-old Jennifer Flores had one of the most frightening experiences of her life. While home with her five children in June 2015, she experienced sudden, extreme pain in her head. While her son called for an ambulance, she began losing control of her speech and the left side of her body. This story made the news. Watch it here. Flores was taken to a local hospital where she was quickly flown by life flight to another as she suffered a massive seizure. Her heart stopped. She woke two weeks later to find that she had suffered from a ruptured aneurysm. She eventually was found to have 4 others that had not ruptured yet and underwent various surgeries. 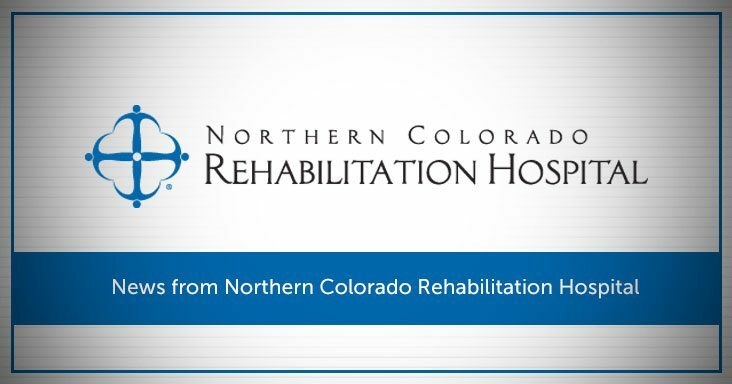 When it came time for Flores’ rehabilitation, her father insisted that she be taken to Northern Colorado Rehabilitation Hospital. Her mother had been treated there previously for a stroke and her aunt for an amputation. “We had all been to the rehabilitation hospital before and knew how amazing it was,” she says. Although at the time, Flores says she was disoriented. When she arrived at the hospital she was unaware that she had children. She was weak and couldn’t walk, and she struggled with swallowing and speaking. Flores recalls the turning point in her rehabilitation process. One day she was trying to lift a 5-pound medicine ball and couldn’t do it. She gave up and told the therapist she couldn’t do it, and that she just wanted to go home to her children. To which the therapist replied that if she couldn’t lift the ball, she was going to be unable to lift her baby and may not be able to take care of her children. Flores says she had another powerful experience at the hospital as well. A persistent cough disrupted her sleep for days. One of the physicians heard her one night and went into her room. He asked if she had tried hot tea to soothe the cough. Flores said she had not because she was on a diet that required all her drinks to be thickened, and she didn’t think she should. The doctor reassured her she could have the tea. After 11 days, Flores walked out of the hospital and headed home to her children. Flores, who now is a mother to six children, recently graduated with an associate’s degree. She intends to continue with her education and earn a bachelor’s degree in public health and human services. She is completely independent.